All the Abilities. All of Them. If you made a list of cool and exciting features you'd like to see in a distortion pedal, I'd venture to say the Tight Rock would check off just about every one. Amptweaker listened to the people and delivered. In addition to gain and EQ switches, there is a switch for an on-board noise gate to hush unwanted hiss. Tight Rock also has not one, but two (count 'em - two. 2. Dos.) effects loop. The SideTrak loop activates when the pedal is turned off while the second loop activates when the pedal is turned on. SideTrak allows you to switch between, say, a compressor or chorus and Tight Rock's drive, thus eliminating the tap dance we all do when switching between a drive and clean sound. 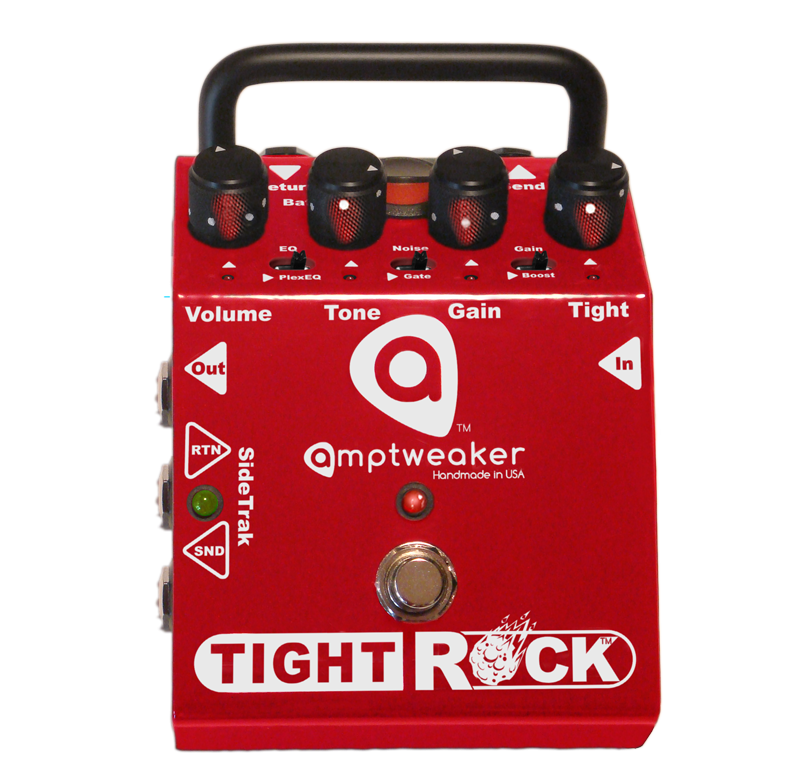 Tight Rock also features LED lit knobs when the pedal is powered by a DC power supply, magnetically sealed battery compartment, battery disconnect switch and can be ran at 18 volts. That's a lot of stuff, my friend. A lot of tone, too.